I thought I’d share this, courtesy of the chaps at It’s Nice That. Peter Crawley stitches illustrations into watercolour paper with a pin, needle and cotton thread; the elaborate images and precise lines look more like a digital printout than embroidery. 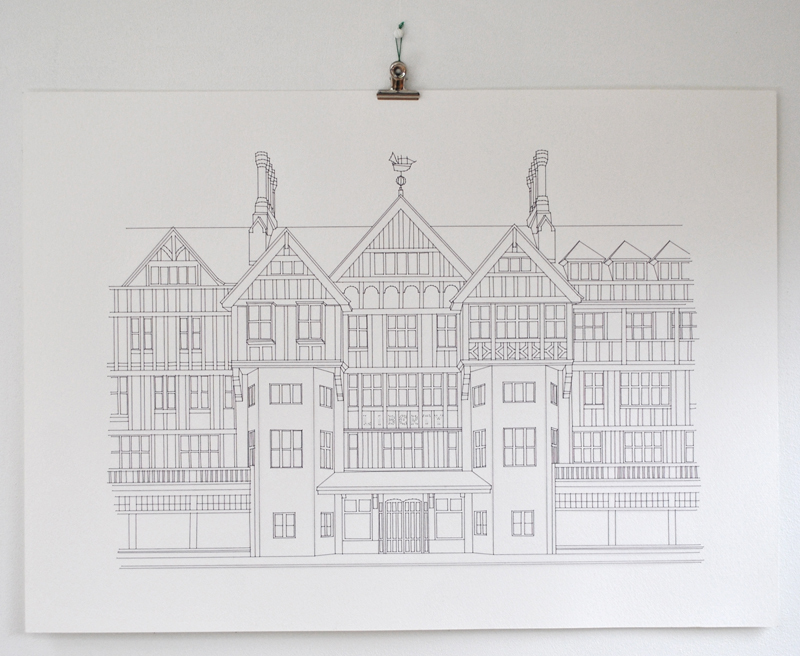 His architectural illustrations are stunning, even more so when you take a closer look at their humble stitch makings. Take a look at “Architectural Reflections”, where the thread has been left dangling under the image to depict what look like roots under the earth. This combination of almost photo realistic imagery with the evidence of its handcrafted origins, integral to the concept of the piece, demonstrates the extraordinary capabilities and visual effects possible from paper and crafted works – comforting in this era of rapidly developing digital mediums.